Moist to dry (chiefly oak) forests and savannas, clearings, shores, ravines; prairies, sandy hillsides and banks. 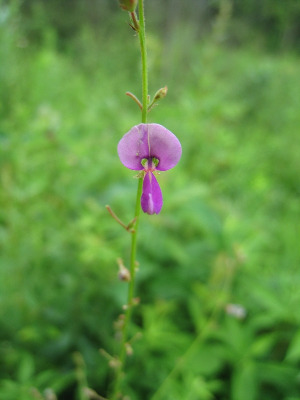 Some material from Allegan, Mecosta, and Muskegon Cos. has the small flowers and uniform pubescence on the leaflets characteristic of D. paniculatum, but rounded fruit segments as in D. canadense; these specimens may be hybrids. MICHIGAN FLORA ONLINE. A. A. Reznicek, E. G. Voss, & B. S. Walters. February 2011. University of Michigan. Web. 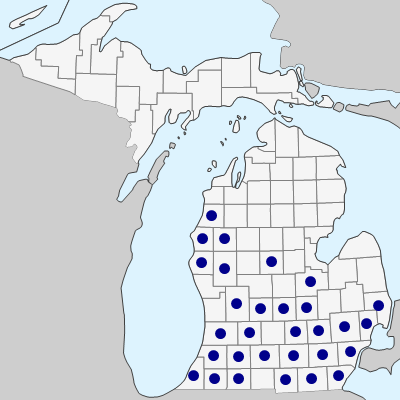 April 20, 2019. https://michiganflora.net/species.aspx?id=1297.